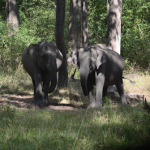 · First is ease of reach from Nagpur which is well connected to Hyderabad the city I live in, as Pench takes only 2-3 hours compared to more than 5 hours to Kanha. 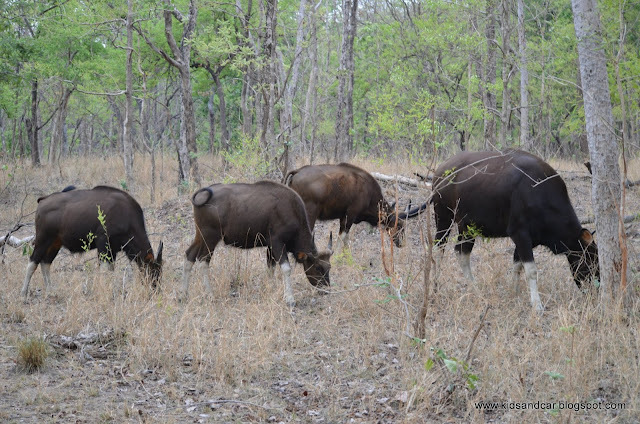 · The other reason I like Pench is because it is a less dense forest. Till about 10 years ago most of the Pench forest was under Jhum, so it was burnt every few years till it was added to the core of Pench forest. Hence the forest is young and not very dense which gives a better opportunity to spot not only the big cats but other fauna also. 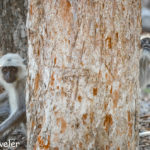 This was one of my first wildlife trips with my D7000 and I was happy with the results.Though most of the photos have been cropped to the last possible pixel I was still smiling on seeing the pics as they were my first few wildlife pictures with my new Nikon D7000. This was also a trip we were fortunate enough to have darshan of Her Royal Highness The Queen Of Pench, from the back of a tamed Tusker, which made this trip one of my most successful trips ever till date. The only thing that stood out was instead of a crown the queen here was wearing a radio collar to keep a track of her movement. I guess it is a small price to pay for the safety, though experts differ on utility and safety of Radio collars on tigers. 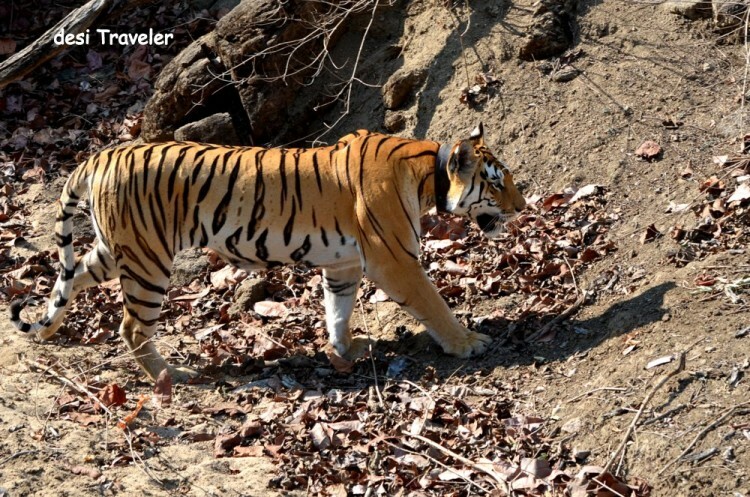 Collarwali ( The one who wears a collar ) as the Tigress Queen of Pench is known as was comfortably sitting in shade totally ignoring us lesser mortals. Though we were also fortunate to spot some very shy animals like monitor lizards, porcupines, wild dogs etc.the highlight of the trip was the tigress, though we were not able to spot her cubs that were nearby but we were still happy. Nagpur the nearest big town is well-connected by both train and air to all major cities in the country. There all kind of hotels nearby from very economical to the Tajs of the world. We stayed in MP tourism’s hotel that we have booked online and the stay was very comfortable. 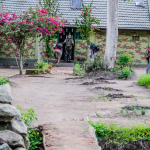 So take your pick and head for Pench before it closes for Monsoons. Like everything else experts differ on their views about putting collars on tigers. 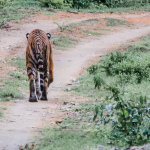 Those who want to put collars on tigers say – Collars help in tracking the movement of tiger and help find their territory for tourism and research purposes. One need to sedate a tiger to put a collar, that is not the best thing to do unless a relocation is needed. Also, they think that just like Forest officials, poachers can also track tigers with help of their radio collars by hacking into the radio frequency. The other reason is that the collar may get tangled in a bush / branch etc and lead to the death of tiger due to strangulation. I am told there are more than 3 such collar related tiger deaths reported due to collars in tigers from Panna to Sunderbans. In case a tiger gets a wound near the collar due to fight, tangling etc. the tiger is unable to lick the wound property to disinfect it with saliva, and the friction due to the collar to the wound will cause further deepening of the wound. This can lead to infection and death of tiger. Well, I am no expert and can only say that hopefully the tiger experts and wildlife officials know what they are doing, for we do not have enough tigers take chances either way. 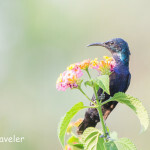 Pictures of Wildlife in Pench National Park. thanks Nona, this has been a very interesting contest..
Hi Vetrimagal: We visited in June last year, we may be visiting again some time soon. Did you visit this summer? Awesome!